Even at their best, the Dodgers have never been known as an offensive juggernaut along the lines of the Cardinals, Rangers, Red Sox or Rockies. They’ve had some really good hitters to don the uniform, but they could never really pull it all together at the same time. The 2014 Dodgers could be one of the team’s best offensive units in their history. The talent absolutely has a lot to do with a proclamation like that. Adrian Gonzalez, Yasiel Puig and Hanley Ramirez are all Top-10 players at their positions, while the their “secondary” guys include the likes of Carl Crawford, A.J. 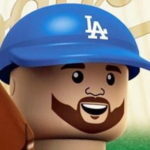 Ellis, Andre Ethier (a hopefully healthy) Matt Kemp and a rejuvenated Juan Uribe. But how much credit should go to hitting coach Mark McGwire? It might be too early to tell, as there is only one season of data available. But it would appear McGwire has the Dodger hitters heading in the right direction. In 2011, also known as Kemp’s shoulda-been-MVP-season, the Dodgers ranked ninth in the National League in runs scored (644), sixth in batting average (.257), seventh in on-base percentage (.322) and 12th in slugging percentage. In 2012, the Dodgers ranked 13th in the NL in runs scored (637), eighth in batting average (.252), ninth in OBP (.317) and a paltry 15th in slugging (.374). 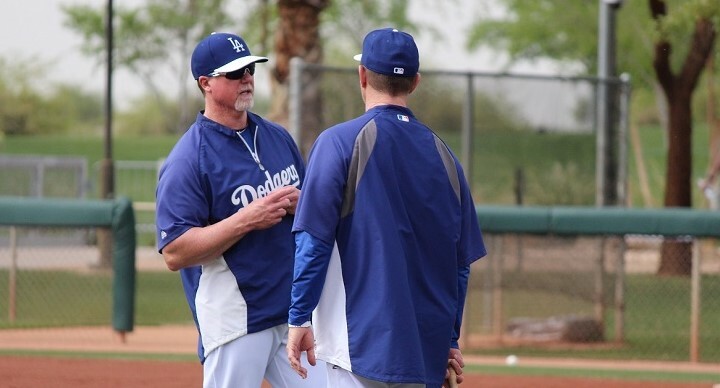 Under McGwire’s watch last season, the Dodgers improved in every category. They were seventh in the NL in runs (649), third in average (.264) and OBP (.326) and sixth in slugging percentage (.396). They finished sixth in slugging percentage despite hitting just 138 home runs (10th in the NL). While the rate statistics wouldn’t be that impacted by Ramirez’s absence last season, the Dodgers still had to replace his elite bat with guys who weren’t as good (admittedly, Nick Punto played pretty well last year). It could be coincidence, as it was the first year the core of the team was together, even if Ramirez missed a ton of time and Puig didn’t come up until June. But it is reasonable to suspect McGwire had something to do with the overall improvement of the team from an offensive standpoint. When McGwire was somewhat surprisingly hired by the Cardinals prior to the 2011 season, he had an immediate impact on some of the individual players. Before McGwire, guys like Allen Craig, David Freese and Yadier Molina weren’t the hitters they are now. Craig is one of the most underrated right-handed hitters in the NL, Freese made a name for himself in the 2011 postseason before following it up with a solid 2012 campaign and Molina went from “good catcher” to “great catcher’ once he learned how to hit. I isolated this trio when the Dodgers hired McGwire after the 2012 season. “Craig was never a blue-chip prospect coming up through the Cardinals’ system. His bat was always going to be the thing that made or broke his career. McGwire’s guidance, coupled with opportunity, allowed Craig to post a .307/.354/.522 triple slash this season. Oh, and he has a shiny World Series MVP trophy and a career .345/.407/.645 triple slash in postseason play. McGwire’s best job might have been what he did with Molina. Molina has never been questioned defensively. He is the best in the game. However, some wondered if his bat would ever catch up. Only Freese saw a decline in production after McGwire left. That isn’t much of a coincidence, as Craig and Molina are much better hitters than Freese. Their overall team numbers didn’t change much after McGwire left, as the Cardinals’ offense was among the best in baseball, and has been for many years. While Puig and Ramirez carried the Dodgers for a 50-game stretch, the Dodgers didn’t exactly get all-world performances from anyone else in 2013. Gonzalez was solid, Kemp showed flashes but got off to a terrible start and Crawford and Ethier were just OK.
One of the biggest improvements McGwire could be attributed to is that of Juan Uribe. A pariah for his first two seasons in Dodger Blue, Uribe developed into the team’s leader in WAR (albeit, a lot of that was his glove) and provided solid offense at third base.Uribe went from a .199/.262/.289 triple slash in 2011-12 to a respectable .278/.331/.438 triple slash last season. While his walk rate didn’t improve that much from 2011-12 to 2013 (6.3 percent to 7 percent), he seemed like he had a better idea of what he wanted to do at the plate. We’ll see if McGwire can coach up some of the other guys in camp this year. Alex Guerrero immediately comes to mind, but he won’t get to work with McGwire much after he’s optioned to minor-league camp (not official, but we all know it’s coming). Dee Gordon is a guy who could benefit, but his own skill set might prohibit a big improvement. And if he can help Erisbel Arruebarrena clean up what initially looks like a really bad swing, then he deserves a raise. McGwire is, rightly, known as one of the best power hitters of all-time. But the guy knows hitting inside and out. He can’t teach these guys to have the plate discipline he did (career 17.2 percent walk rate), but he can teach them the fine points of hitting in hopes of improving the club. If all goes well, this should be the best Dodgers’ offense in the last 15 years. If that comes to fruition, the Dodgers are going to be in awfully good shape.